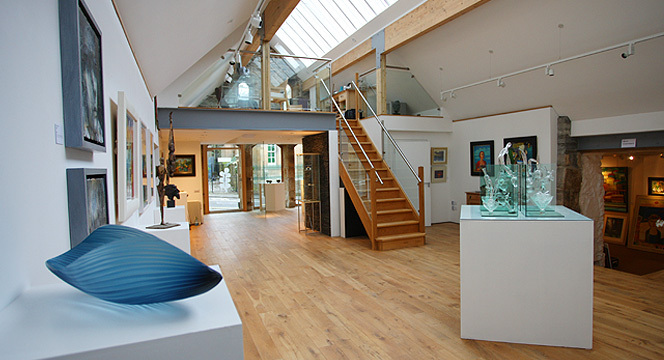 As a purpose-built exhibition space, Browns Gallery is unique in the Highlands. 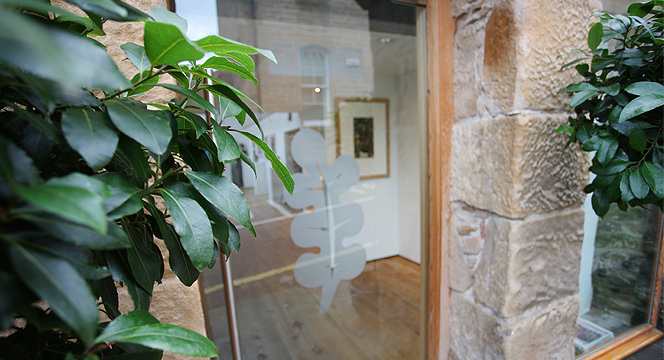 In 2005, the success of the gallery led director Gordon Brown to expand. A disused 19th century bakehouse next door to the original space was acquired, with leading architect Robin Webster commissioned to design the new gallery. Later that year, the design proposal was exhibited at the Royal Scottish Academy. Two years on, the revamped Browns Gallery opened its doors, unveiling a contemporary exhibition space that would be welcome in any major city. 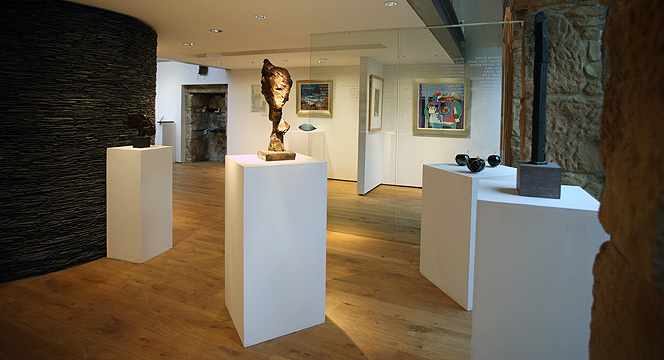 The new space has allowed the gallery to grow up, attracting new visitors and artists to the exciting group Brown’s Gallery represents. I was a student at art school when I first visited Tain. There was an antiques shop in the town, which had a sign in the window offering to buy paintings. I managed to sell them some of my work, which was great because I was struggling to survive on my student grant. So it was in Tain that I saw my own work hanging on the walls of a gallery, for the very first time. Of course there have been artists living and working around this area for a long time. Opening the gallery simply brought a much-needed focus to what had previously gone unnoticed. My ambition was simple - to show the best work being produced in the Highlands, and to make this work accessible to all. As an artist myself, I also wanted to make it easy for the artists I worked with to get on with doing what they did best. I quickly noticed it was the contemporary work - more than the conventional Scottish landscapes - that was catching the eye. So that’s where I focused. To this day, I strive to present current work, art that challenges the imagination. Surprises and confronts, at times. For me, it’s always been about connecting the artists with the people who walk through the door. Hopefully the rich variety of work on the walls offers something for them all. I first stumbled across Brown’s Gallery ten years ago when I was coming out of Harry Gow’s (later redubbed ‘Le Lapin Agile’ when it became a rendevous point for the artistically-bent riff-raff from Tain and its environs) with our then tiny twins and a big poke of Dream Rings. Despite my misgivings – the gallery, after all, was some considerable distance from the cultural epicentres of Glasgow, Edinburgh and London – I was impressed by the total absence of the Scottish Swiss Tart School of Paintings, and the even less attractive Honolulu-in-the-Highlands Sunsetcsapes. Since then I have really been impressed by gallery director Gordon Brown’s far-sightedness in acquiring the old bakehouse adjacent to the ‘Lapin Agile’ and transforming it into a great space for showing contemporary paintings that’s on par with the best of the country. Welcome to the new improved Brown’s Gallery – I’m delighted to be hanging around. However many times you walk into the gallery in the bakehouse, which Gordon Brown has created with sensitive dedication, the experience is both a surprise and delight. The quality of the exhibited artists chosen by the curator matches the best to be found anywhere in Scotland today. There is a discriminating eye behind these choices, which recognises not just accomplishment, but the drive of the true artist to take risks in order to reveal more. To visit this North Highland gallery is certainly worth a detour. 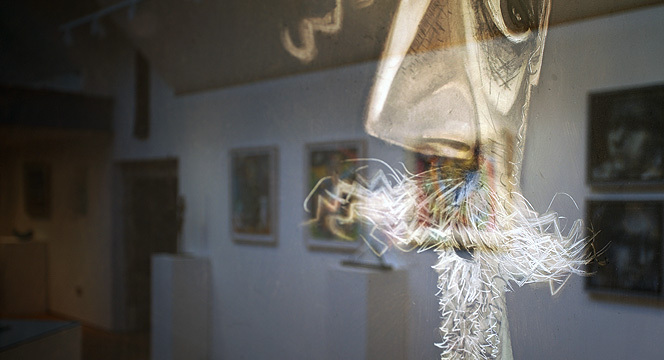 It is to experience a confrontation with excellence in contemporary Scottish art.